If you are visiting Walt Disney World in January 2012 here is a guide to what is happening in the parks at that time including parades, special events and ride closures. It is always best to be prepared for which attractions will be closed when you visit, so here are the scheduled refurbishments for January 2012. In Magic Kingdom the very popular Dumbo ride will be closed from January 9th to February 17th. You do need to warn the younger children about this as they may be disappointed. An alternative ride is The Magic Carpets of Aladdin which is very similar to Dumbo. 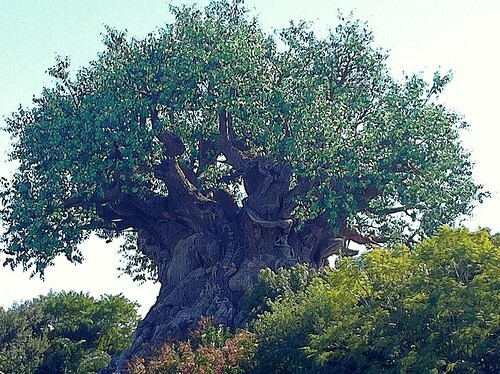 Also Big Thunder Mountain in Magic Kingdom will be closed for refurbishment from January 9th to 27th May 2012. This is a major attraction which will be closed for quite a considerable time. Expect Splash Mountain to have longer lines as it will take up some of the capacity of guests who would have been riding on Big Thunder Mountain. The Plaza Ice Cream Parlor on Main Street in Magic Kingdom will be closed from January 4th to March 27th 2012. The only closure in Epcot for January will be Tutto Italia Ristorante in the Italy World Showcase Pavilion which will be closed from January 7th to April 30, 2012. If you are visiting Disney Hollywood Studios in January and early February 2012 you will be disappointed to find out that Fantasmic! will not be playing for much of the time. It will be dark from 9th January to 12th February 2012. Also in Epcot the Sounds Dangerous Soundstage is open only seasonally and due to low attendance is unlikely to be open for any of January. The water parks always close over the winter for refurbishment – whilst one is closed the other will be open. If you are visiting in January then Blizzard Beach will be open but Typhoon Laggon is closed from 4th December 2011 to 17th March 2012. If you possibly can then you should always try and catch Disney’s Main Street Electric Parade in Magic Kingdom. It will be performed most nights in January 2012 but will not be run on 8th, 11th, 13th, 15th, 17th, 18th, 22nd, 24th, 25th, 27th, 29th, and 31st January. Disney has a very good idea of which days will be the highest attendance days – so expect the days when the Electric Parade is scheduled to be the busier ones in Magic Kingdom. These closures generally only affect Disney World hotel guests but are worth noting. The Disney Grand Floridian Resort Spa closed in September 2011 and will remain closed for 18 months. The fitness center is still open. In the Polynesian Resort the sand beach is being refurbished from 24th December to 10th January 2012. The major event in January 2012 is the Walt Disney World Marathon. This event is held every year in January and this year various races will be held in the theme parks from 5th January to 8th January 2012. This is a popular event and will mean that attendance at the parks is heavier than you may expect at this time.